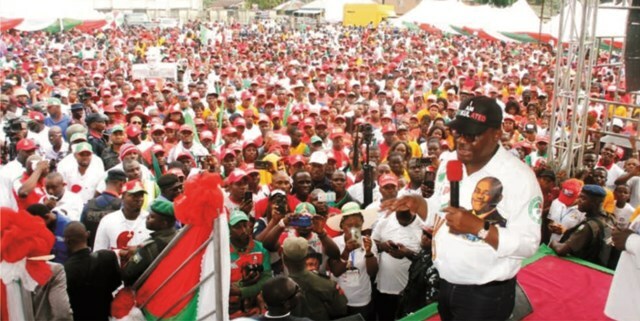 Rivers State Governor,Chief Nyesom Wike (right), addressing thousands of supporters, during the PDP campaign rally in Ogu, headquarters of Ogu/Bolo Local Government Area, yesterday. 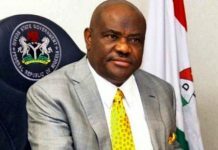 Rivers State Governor, Chief Nyesom Wike has revealed that the Governor of the Central Bank of Nigeria (CBN) and the Chairman of the Economic and Financial Crimes Commission (EFCC) have directed Managing Directors of Banks to deny Rivers State cash during the weeks of the 2019 elections. 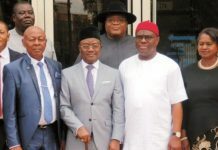 Governor Wike said that he received the information on the illegal cash strangulation of Rivers State by few Bank Managing Directors who attended the meeting with the CBN Governor and EFCC. Addressing thousands of supporters during the PDP campaign rally in Ogu/Bolo Local Government Area yesterday, Governor Wike said this unconstitutional initiative by the APC Federal Government will fail woefully. ”We have passed that stage. Nobody can gag us. Before now, we prepared for the elections. They should not bother, because we are ready”. ”In 2015, the APC went to the International Community and got their support. They supported them and the PDP lost. ’Today, the APC Federal Government is crying because the international community is insisting on credible polls. ”President Muhammadu Buhari should conduct credible polls and earn international respect. Buhari should emulate former President Goodluck Jonathan. He should not rig with security agencies because it will not work”, he said. ”PDP is ready for elections in 2019. We have won all previous elections in the state. In 2015, they claimed we won because of Jonathan. But we won all the rerun elections under Buhari administration, except the ones they snatched illegally. ”If not for their planned reliance on security agencies, nobody will collect APC nomination forms. 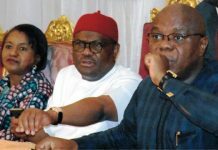 There is no imprint of APC anywhere in Rivers State “, he said. 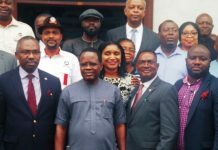 PDP Candidate for Rivers East Senatorial District, Senator George Sekibo said that the people of the area will always support Governor Wike. 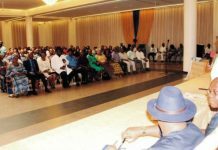 He said that the people have no choice than to support Governor Wike for the several projects in the area, especially the reconstruction of Government Secondary School, Ogu. He said that the construction of the school removed shame from his eyes. 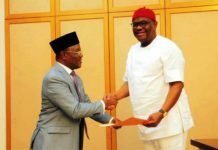 Director General of Rivers State PDP Campaign Council, Ambassador Desmond Akawor said Ogo/Bolo people are now part of the movement of progress as they are fully in support of Governor Wike.